Hi friends! Earlier this week I was playing with some new fine-liners. They were intended to be used for drawing under alcohol ink markers but I wondered if they would work under watercolor too so I gave them a try. They worked great! I shared the painting on Instagram and asked people if they would like a step by step tutorial on the process and they did so that is what I have for you today! 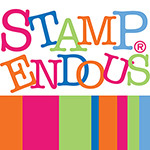 Most supplies available at sponsor Jerry’s Artarama! 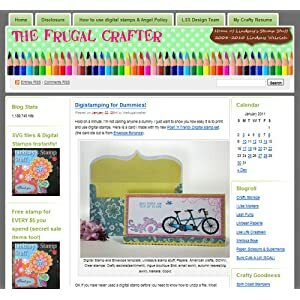 Use coupon code: frugal20FS49 for 20% off $49 + Free Shipping (Excludes: Sale, Super Sale, Egift Cards, Buy It Try It’s and Vendor restricted items. 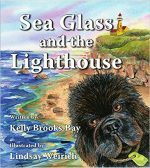 Look for the green coupon eligible icon on the product listing. Not only can you watercolor over the pens but if you have a ho-hum painting that you want to sharpen up you can do the inking on top. Give it a try and see what you like best! Til next time happy crafting! Sketchbook Sunday with a Side of Garlic! Watch the video to see who it came together. If you are interested in a real-time tutorial of this painting you can find it in Critique Club. 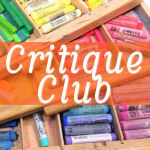 Critique club is a monthly membership group you can join for $5 a month and upload up to 2 paintings a month for in-depth feedback from me. 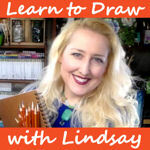 You also get 2 real-time lessons (the long versions of 2 sketchbook Sunday tutorials) per month as well as past archived lessons while you are a member. You can learn more or join here. 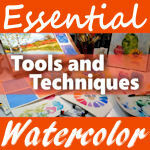 I also have a pastel course if you would love to learn more about the medium. 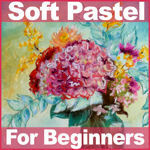 You can get more information on Soft Pastel for Beginners here. Later this week I’ll have a review of the pastels I used in this video in case you want more info on those, spoiler alert, I really like them! 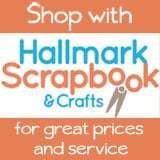 Have a great Sunday and til next time happy crafting! Hi friends! Today we will draw and paint some crocus flowers! 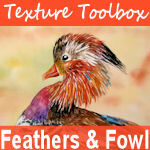 This would be pretty to paint on a greeting card to send someone a springtime greeting. Crocuses are often the first flowers of spring and they even pop up through the snow! Talk about optimism! In this beginner watercolor tutorial you will learn how to paint translucent flower petals and add details. 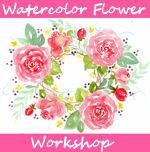 If you would like more flower painting watercolor tutorials check out my Watercolor Flower Workshop! I hope your first full day of spring is a good one and til next time happy crafting!